Offering you a complete choice of products which include bottle packing machine. 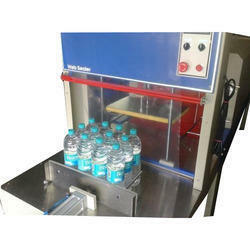 Our organization specializes in manufacturing and supplying a qualitative array of Bottle Packing Machine. The offered bottle packing machine is well known in the market for its diverse attributes like operational fluency and enhanced service life. The machine is suitable for filling and packing all kinds of powder and small grain materials, for example, milk powder, feed, rice flour, sugar, pesticide, carbon, and coffee powder. It’s composed of servomotor, PLC and touch screen controller. Looking for Bottle Packing Machine ?